Peggy J. (Hand) Williams, 86, of Mount Vernon, Illinois passed away at 12:35 A.M. February 7, 2019 at White Oak Rehabilitation Center. She was born September 19, 1932 in Marvel, Alabama to The Late William E. and Geneva (Allen) Hand. Peggy is survived by her children, John R. Williams of Mount Vernon, Illinois, Gennie Cockrum and husband, Charles of Benton, Illinois, Mona Ferando of Benton, Illinois, and Kimberly Mendoza and husband, Sam of Fairfield, California; nine grandchildren; several great-grandchildren; brother, Bobby Wayne Hand of Charleston, South Carolina; and several nieces and nephews. In addition to her parents, Peggy was preceded in death by her son, Samuel Eugene Williams; and siblings, Billy Jack Hand and Karen Portera. Peggy worked in the housekeeping department at Kaiser Hospital in Vellejo, California for many years. 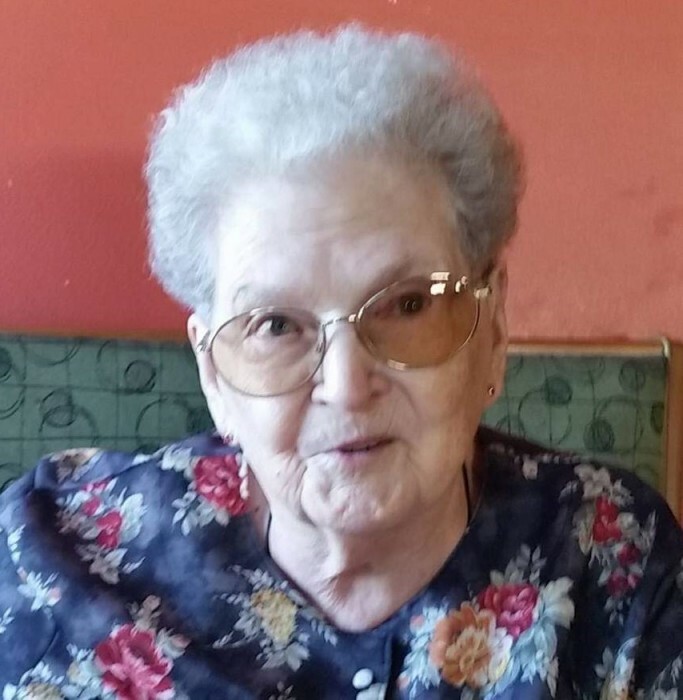 She was a member of the American Legion Auxiliary, VFW Auxiliary, Women of the Moose, and the Eagles Lodge Auxiliary. Peggy was also a member of the East Benton Baptist Church. Her greatest joy was spending time with her family. Peggy was dearly loved and will be missed by all who knew her. A Visitation will be held Monday, February 11, 2019 from 11:00 A.M. to 1:00 P.M. at Newell Funeral Home in Mount Vernon, Illinois. A Funeral Service will follow at 1:00 P.M. with Reverend Merle Fullerton officiating. Interment will follow at Masonic-Odd Fellow Cemetery in Benton, Illinois.